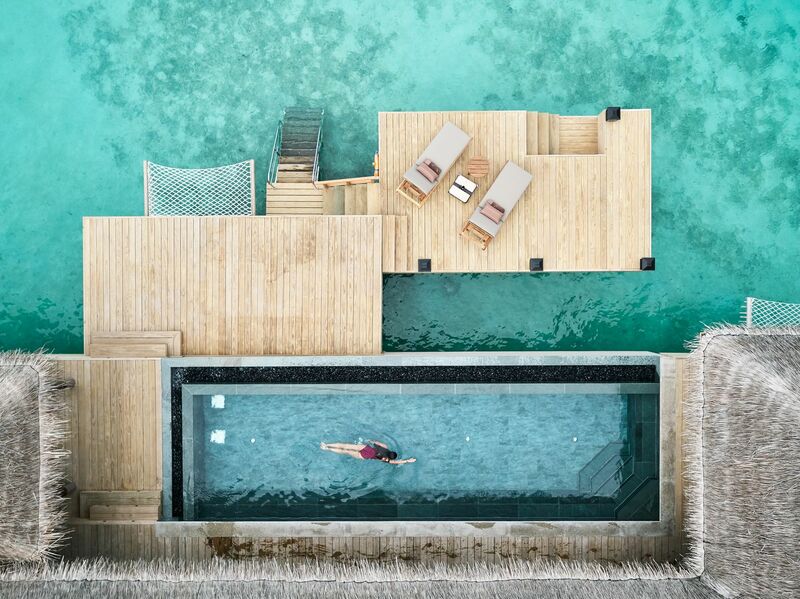 Joali, one of the newest and most luxurious island retreats in the Maldives, takes the first class experience to the next level and it begins as soon as you step out of the airport. Two Joali representatives in light pink linen shirts and crisp khaki trousers met our group with a warm welcome, took our luggage, and led us to the resort’s private lounge as we waited for our seaplane to arrive. One coffee, two glasses of iced tea, and several cold towels later, we were ready to board. For the uninitiated, a seaplane ride is not the most comfortable one. It’s cramped, hot, and incredibly loud. But we knew we were headed to paradise on Earth and that thought made the 40-minute plane ride bearable. True to its mantra of “Joy of Living”, an overwhelming feeling of joy came over us as we approached the resort. 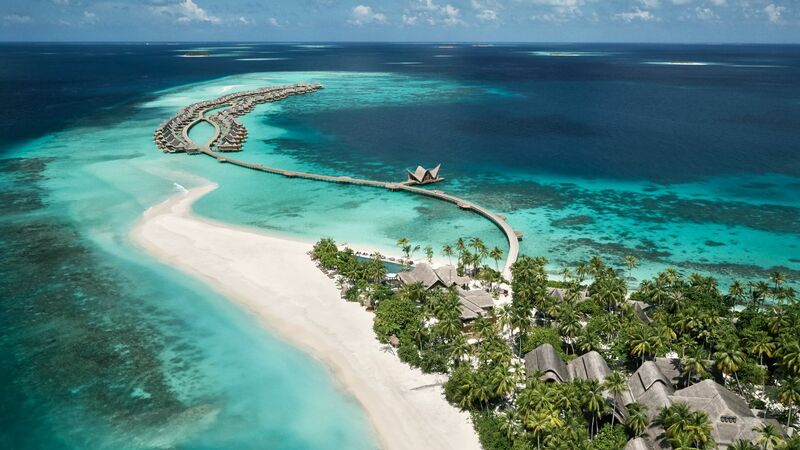 Situated on Muravandhoo Island in the Raa Atoll in northern Maldives, Joali is a slice of perfection on one of the largest and deepest atolls in the world. The shades of blue here were incredible, the sand was white, soft, and pristine, while the sun shone a little brighter compared to elsewhere in the world. Our welcoming committee came in the form of buggies driven by our personal butlers, who were on hand to assist us with whatever we needed for the duration of our stay. Want a bath drawn after dinner in the outdoor tub? Check. Need help figuring out the coffee machine in the room? Done. Want to schedule a sunset dolphin cruise? No problem. 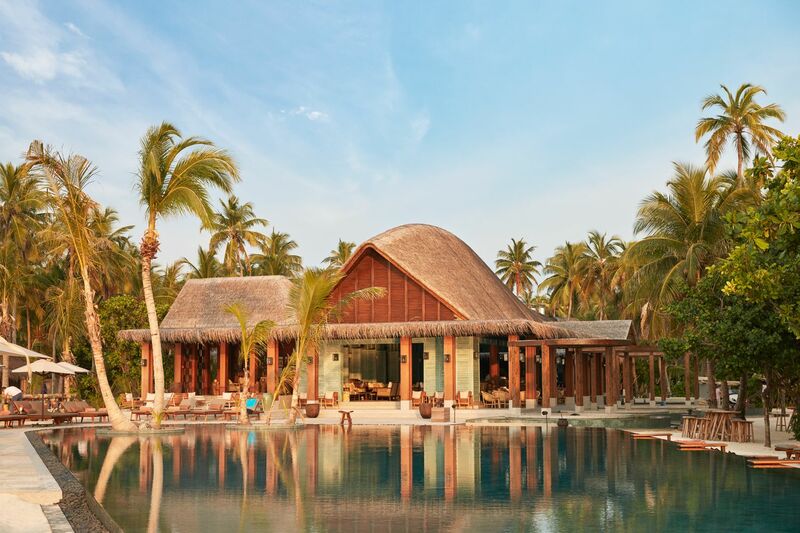 From there, we were given a quick tour of the property, where every turn resulted in oohs and aahs because of the beauty around us – perfectly manicured tropical gardens, cleverly hidden artworks, tempting F&B spots, and even an on-island fashion boutique. 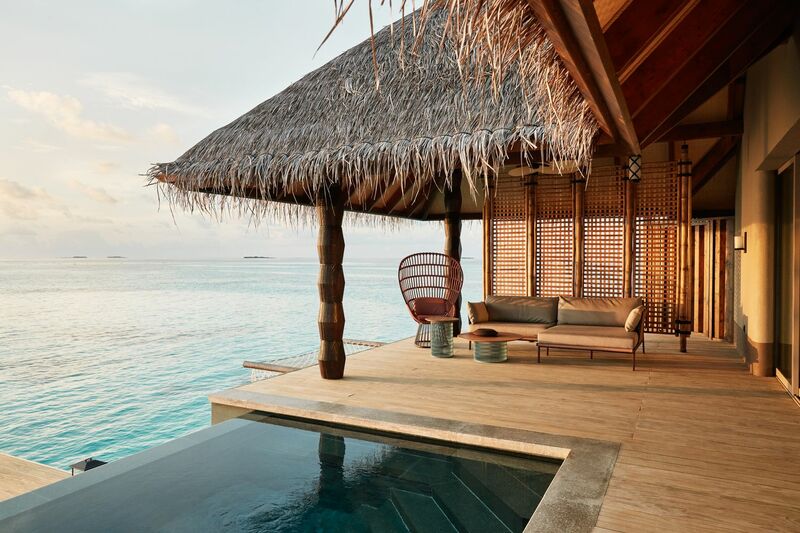 Finally, I was dropped off at my private beach villa (Number 7), which, on the outside, looked like a bungalow in an upscale neighborhood in Singapore. As I opened the gate, a masseuse welcomed me with a quick, but much needed foot massage, setting the tone for the stress-free stay ahead. The villa’s interiors were picture perfect, with high ceilings and windows that allowed beautiful island light to stream in. Soft and hard elements came together perfectly like the pastel-colored carpets, sofas, and pillows, contrasting with hardwood shelving, green Scandinavian marble walls, and an assortment of objêts d’art with rose gold hardware. It was tempting to stay in the entire time, but the island was waiting to be discovered. As you walk or cycle around Joali, what you’ll find admirable about the resort is the respect it has for its environment. Despite only being open to the public for less than three months, it is already incredibly lush and green because it was designed in and around every tree, ensuring the preservation of its ecosystem. 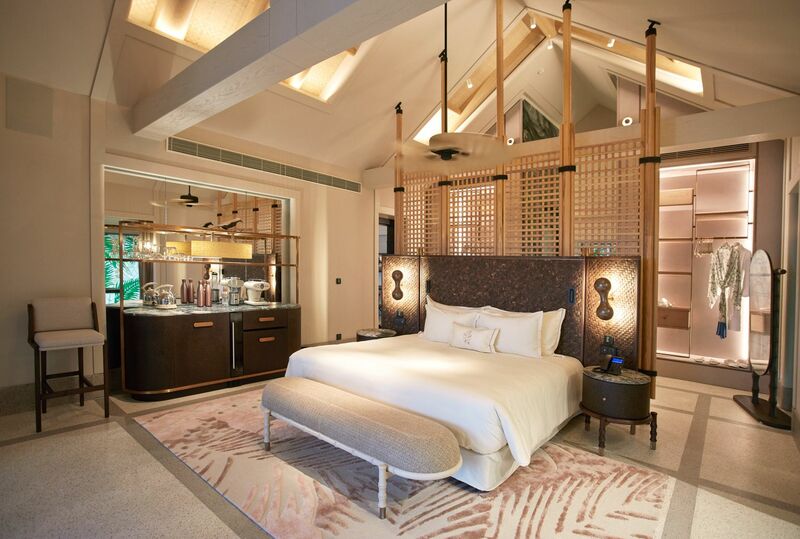 Complementing this is an exceptional array of art and design that is evident in all areas of the resort. Guests can look forward to visiting artists with the aim of inspiring guests with interactive art projects, as well as nature-themed collections to inspire creativity. Admiring art and lounging aside, being in the Maldives means exploring the ocean around you, which Joali does well with its bespoke itineraries – choose from simple activities like snorkeling with Manta rays (peak season from November to April) and sea turtles to more educational ones like learning about coral degradation. 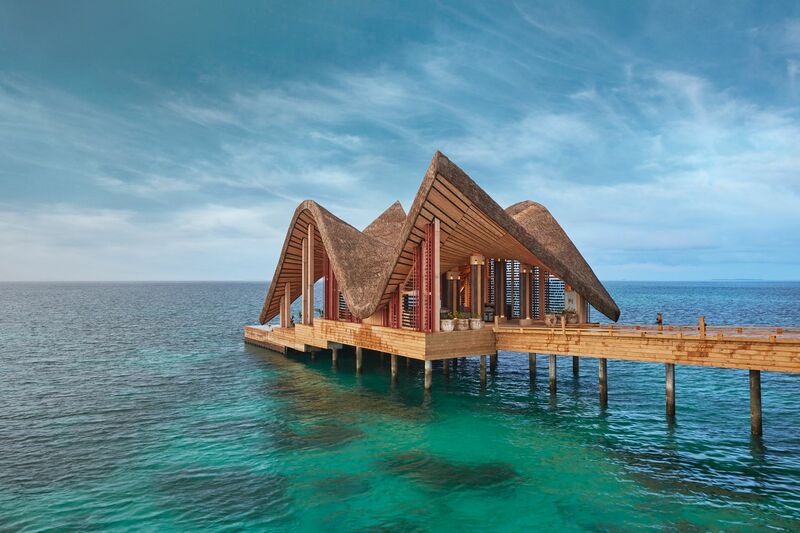 Being out in the sun and sea is tiring, which is why the multiple dining spots at Joali are a godsend. Each location boasts a different concept, catering to every guest’s craving and fancy. Vandhoo is the property’s main restaurant, where healthy and delicious breakfasts, Southeast Asian, Chinese, and Mediterranean cuisines are served. Meanwhile, Bellinis is the best spot for a cool Italian meal, where Nonna-approved dishes are served alongside an assortment of traditional Italian liqueur, cocktails, and sparkling wine. Saoke Restaurant could possibly be the jewel on crown. The Japanese restaurant, which was designed by architect Mr. Noriyoshi Muramatsu, sits at a vantage point on the beach, and boasts an incredible selection of wine and sake that pairs well with the Nikkei (Japanese-Peruvian) cuisine. The restaurant is lit from within and below, giving it an ethereal glow at night. 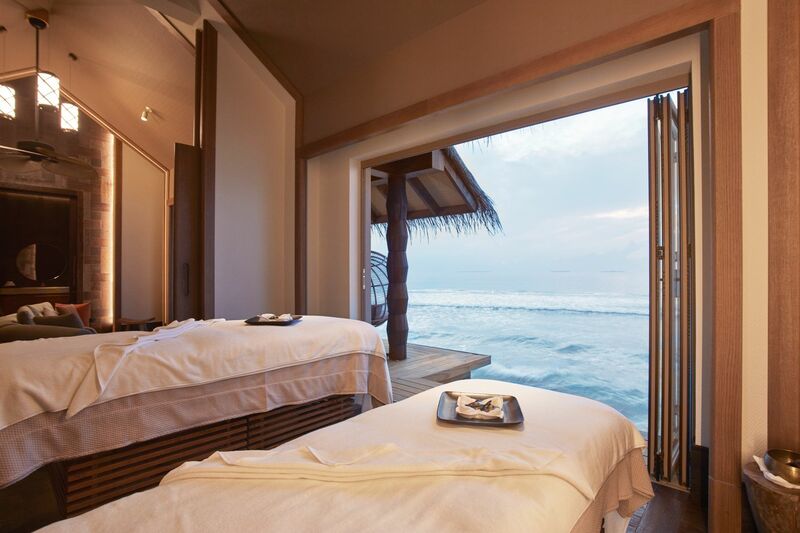 And as with any luxury resort, a spa experience should not be missed. 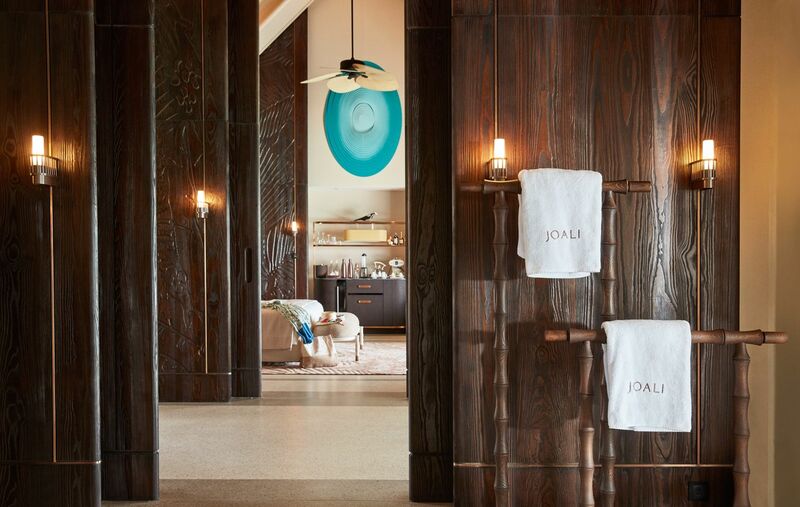 At Joali’s ESPA Spa, your wellbeing comes first as they seek to address issues beyond a tired and weary body. In addition to massages and spa treatments, physical ailments, emotional equilibrium, and spiritual consciousness are also addressed. As you step out from a treatment, you’re bound to feel brand new, ready to once again partake in the joy of living at Joali.